Directed by Academy Award®-winning filmmaker Steven Soderbergh (Ocean's Eleven, Traffic), Che: Part One stars Benicio Del Toro (The Usual Suspects, 21 Grams) in a career-defining role that won him the Best Actor award at the 2008 Cannes Film Festival. 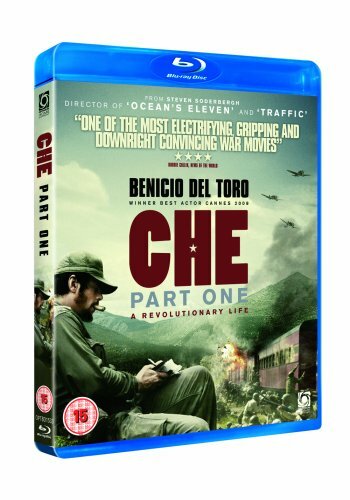 Partly based on his own memoirs (Reminiscences of the Cuban Revolutionary War), Che: Part One follows Ernesto Che Guevara's transformation from humble physician to military leader during the Cuban Revolution, depicting his eventual overthrowing of the repressive Batista regime. Meticulously researched and containing intense and realistic depictions of guerrilla warfare, this is a captivating portrait of one of the most controversial figures of the Twentieth Century. An astounding and moving story of one man's belief and the events that would eventually shape him into becoming a legendary symbol of rebellion and hope.